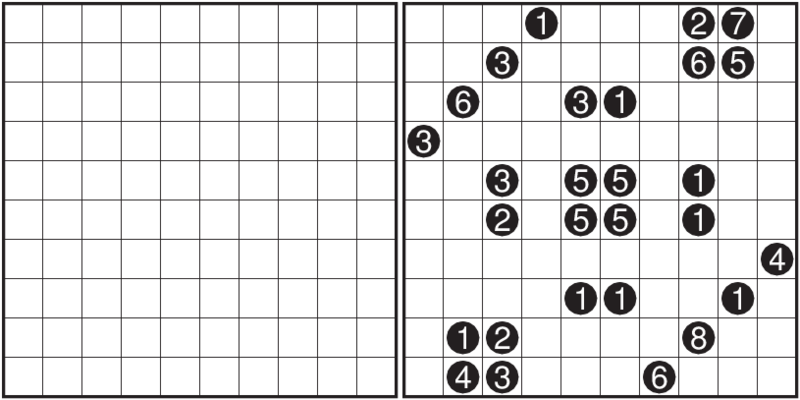 Another practice puzzle for the WPC. Hamle seems to be a common type in some places, but its still pretty new to me. I don’t think I’d solved one before seeing it on the WPC IB. So I tried my hand at it and saw what could be done. The resultant puzzle probably has one nice (slightly obvious) deduction. Other than that, I think its normal stuff. Move each of the given black circles to one of the four directions so that each of them moves the distance marked upon it. 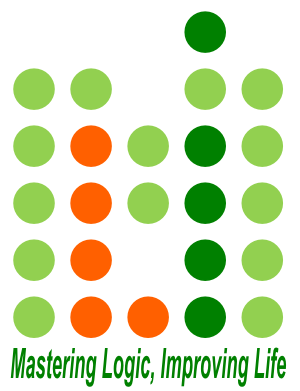 In the final position, cells with circles do not share an edge (they may touch diagonally, though), and all empty cells are connected. During the move, circles may exit and re-enter the grid, as long as their movement remains straight. An additional empty grid will be provided for this puzzle.